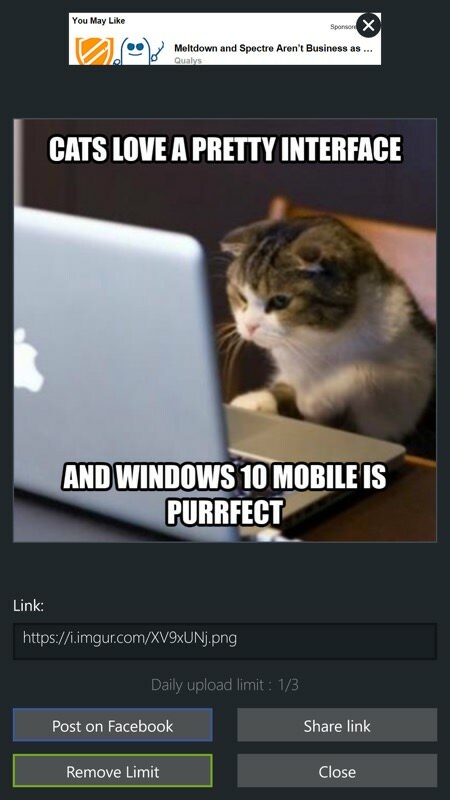 Meme generator applications have become, well, a meme in themselves, which is slightly ironic. 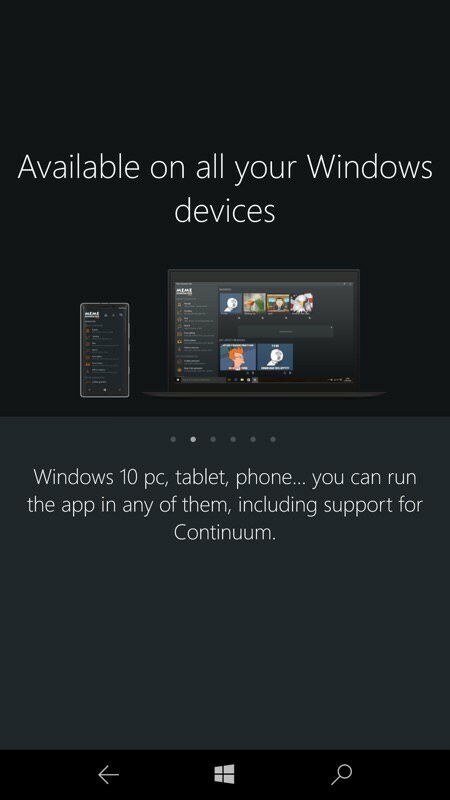 This UWP application works well though, drawing its resources from official APIs around the Internet. 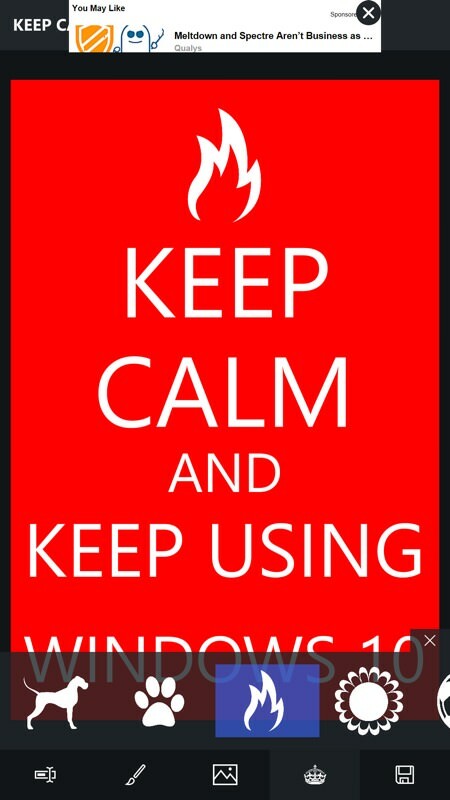 Fancy creating your own annotated image that might go viral and give you social fame? 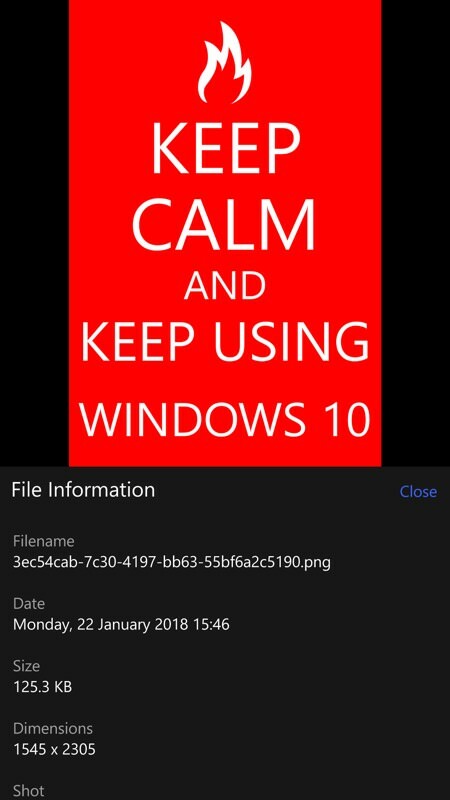 Well, now you can do it easily with a full Windows 10 UWP application. 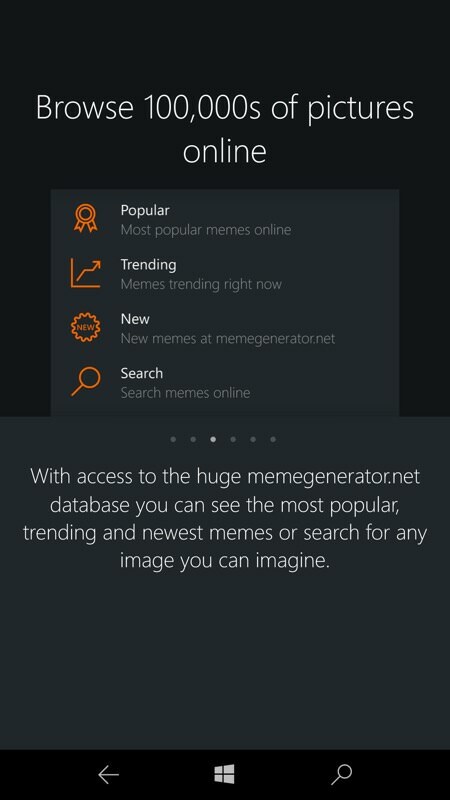 Meme Generator Suite is the best and most feature rich meme generator for Windows 10! 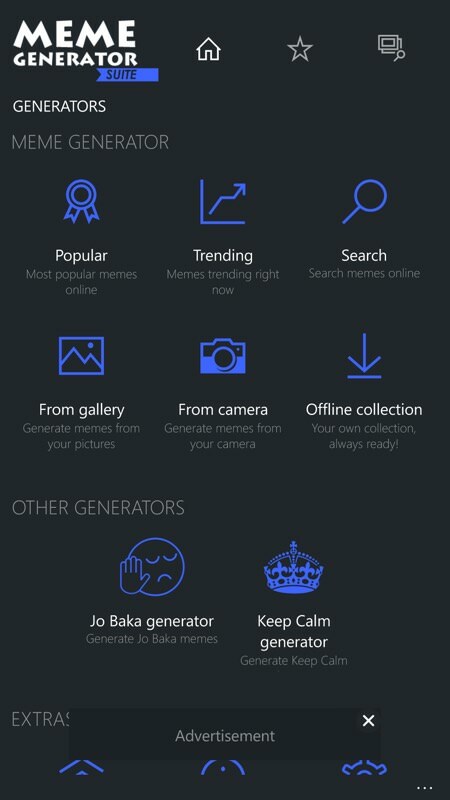 This app allows you to create the greatest memes and share them in your favorite social networks. 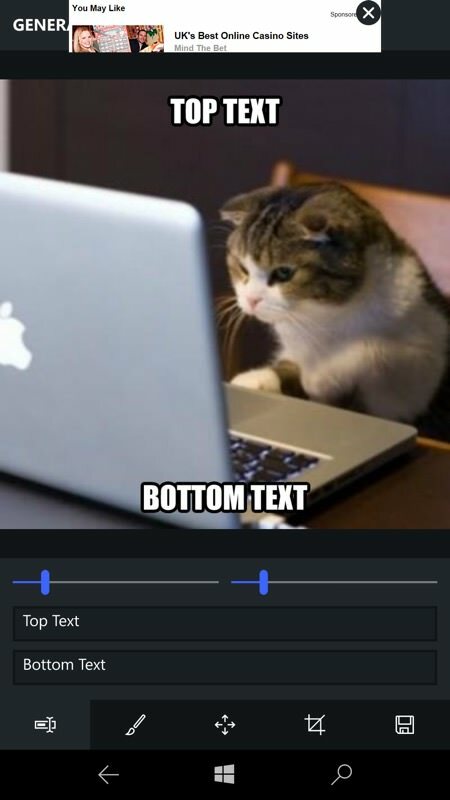 Online access to 100,000s of memes (powered by memegenerator.net). Generate memes from your own pictures. 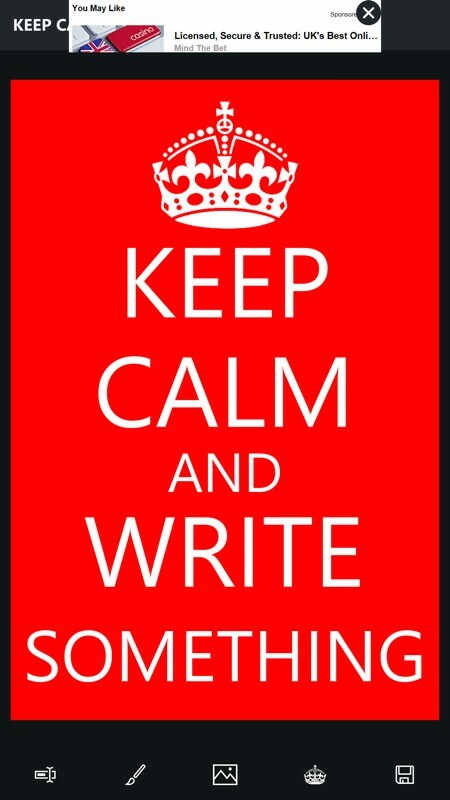 Generate KEEP CALM posters and Jo Baka memes. 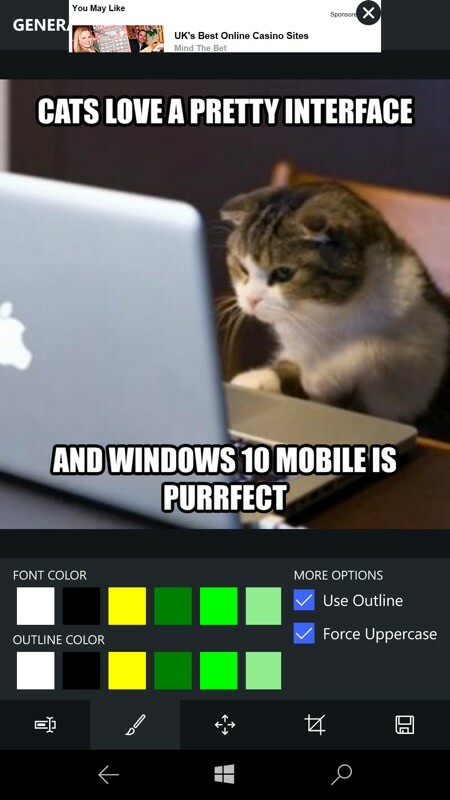 Move, resize and change the color of the text. 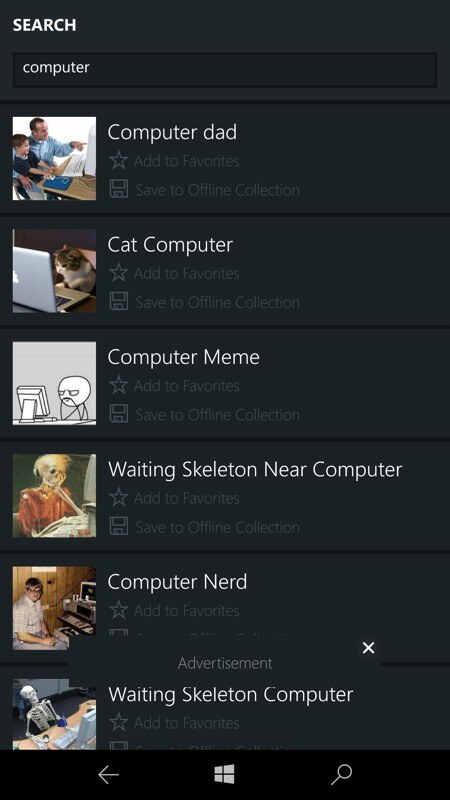 Includes an Offline Collection with more than 300 memes always ready to go! 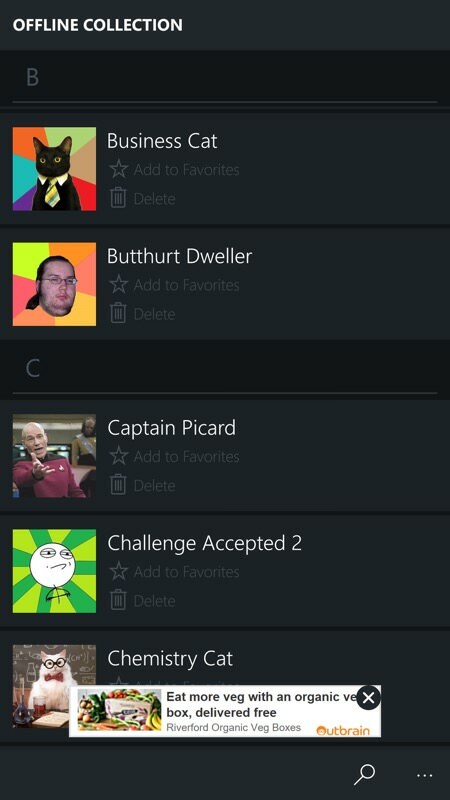 Manage your Favorite memes and add or remove images from your Offline Collection. 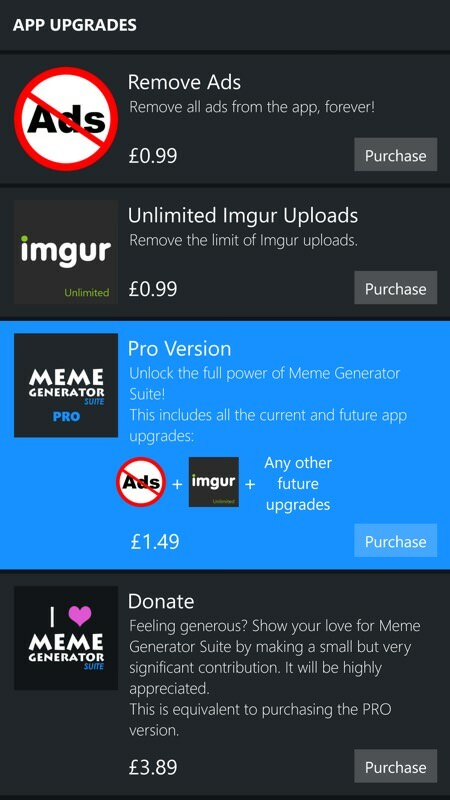 Upload your images directly to Imgur. Share your creations online in your social networks (Facebook, Whatsapp, Instagram, Twitter...). Very nicely done indeed, too. 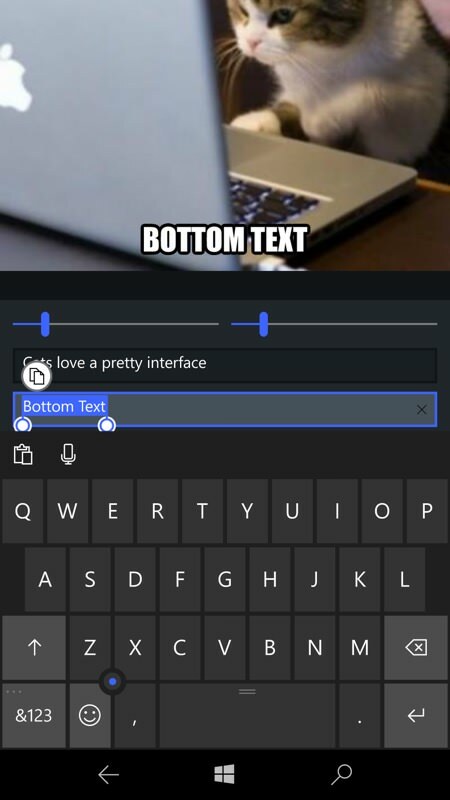 Here's this UWP utility in action, you'll be thinking up viral slogans in no time at all! 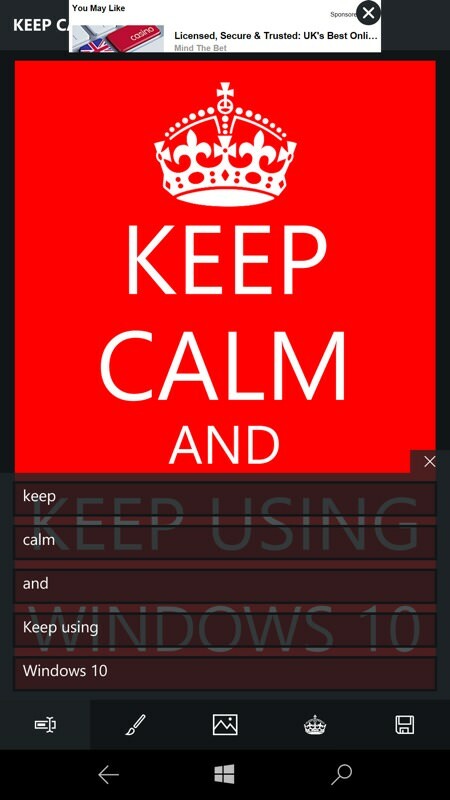 The very Windows 10 Settings-esque main menu; (right) with an idea in mind, starting off with a search for a likely term and pick the image that fits best! Here there's still scope for custmisation in terms of colours and logo; (right) the finished meme image saved to my phone's local storage and showing that it's over 3MP. Very decent and well done to the developer for not cheaping out in terms of quality and resolution. You can grab this for free in the Store here. A glance at the changelogs will show you how actively this utility is maintained. Recommended, if you're into this sort of thing! !